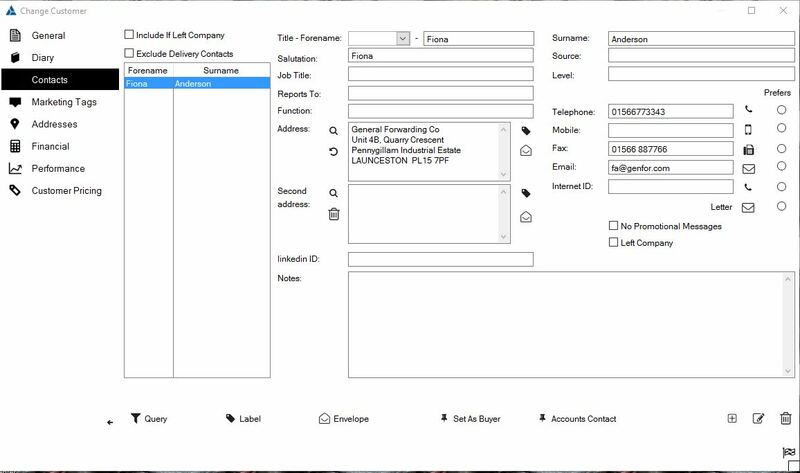 The following helpsheet explains how to add a contact to an existing customer from within the customer database. Under 'Main Menu,' select 'Customers'. Select the customer you want to edit and either double click on them or click the edit button ( ). 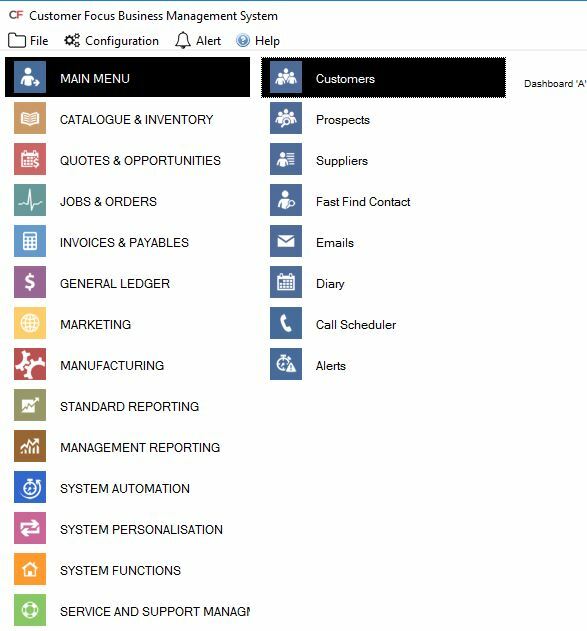 Select the 'Contacts' tab in the Change Customer window. Fill in the details for the new contact and click the flag icon at the bottom right. The contact details will now be affiliated with the respective customer.